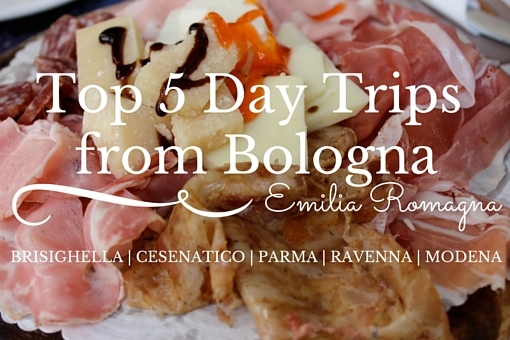 Everyone knows that Italy is one of the food capitals of the world. It would be a lie to say that uno non si mangia bene in italia (that one can't eat well in Italy). Yes, you have your tourist traps or every now and again you choose the disappointing dish off the menu while your friend is digging their fork in to the most delectable dish and unfortunately for you, doesn't share. Reality is, the food here is bomb. But let me be careful when I say the food here is bomb. The Italian food here is bomb. McDonald's is the same, and Greek food can be good, but don't come to Italy if you don't like Italian food because if you're in the hunt for a greasy burger, or some fresh sushi, you're not going to find it here! However, what you can find for a little price here is extraordinary. If you're like me, eating at restaurants can get overwhelming and expensive. Every now and again it's perfect to have that antipasto, a large plate of carbonara and some contorni (sides, ie. potatoes, green veggies, salad etc. ), but it's impossible for your stomach to do that every meal while you're traveling and your wallet will also feel the impact. Lucky for you, Italy has some of the best street food around, and you'll pay so little for food that packs a punch and keeps you satiated. The Roman fried rice ball that keeps you smiling and full. Not to be confused with arancini which similarly, are friend rice balls, but arancini are from Sicily, are generally filled with ragu and peas and are round or conical in shape, whereas Suppli are Roman, generally have mozzarella at the center and are longer in shape. this is called "al telefono"
I'm not a Suppli expert and I definitely haven't come close to trying even 1% of the vendors in Rome who have Suppli on their menu. But I can make a few educated guesses about how, when and where these rice balls pieces of heaven should be indulged. If crowds aren't your thing, arrive here early for the lunch hour, 11:30am, or late, 3:00pm, because if you hit this joint at peak lunch hour you'll have to fight your way to the counter to get in on the delicious balls of rice heaven! Try the traditional suppli al telefono, and just split that guy in half to understand their nickname of al telephone or on the phone. The renditions on the traditional suppli here are simply exquisite as well, so save room for a carbonara or cacio pepe version! Tip: Always go for some fritti when you're out at a traditional pizzeria, you can't go wrong! Pizza a taglio is where it's at! You can get such a filling meal that can be so dynamic for just a couple of euros if you know the right place to go and how to keep your order varied to keep lunch exciting! Generally, when you go to get pizza on the street to go "pizza al taglio" it's important your eyes aren't bigger than your stomach. Careful, because you pay by weight of the pizza. If you pick a slice with large mozzarella balls, it will be more expensive because it's heavier (but also great choice, because fresh bufala mozzarella is delicious on pizza!). Generally, you order by a series of hand motions and the server motions with his scissors where you'd like your slice cut! Don't be afraid to ask for a smaller or bigger piece than what they've initially suggested! Sometimes the pizza has been sitting in the counter for some time - make sure you ask to have it reheated if you're going to eat it immediately. Puoi riscaldarla per favore? If you're picking that slice with the fresh ingredients; ie. prosciutto crude, a mozzarella ball etc. you may be advised that these pizzas don't reheat well, so choose your flavor wisely! Paying: You always pay after! You'll pick your slice, have it weighed, then the server will give you a receipt with the total that you take to the register and pay after you ordered! Campo de' Fiori is an especially fun square, and it's even better if you can grab a slice of pizza from this delicious forno. This is a powerhouse for crisp, hot pizza. Don't let the crowds deter you. Get your place at the counter and get your eye contact with the server to avoid being stepped over by the Italians who know how to get served first! There are two sections to this forno split by a street in the northeast corner of the square. Pizza is server from the store front on the right of Via dei Cappellari. Tucked in the streets on the opposite side of the Forno Campo de' Fiori, this forno is hustling and bustling as well. Same tricks go here. Head straight to the counter, pick your piece and receive the receipt. While the heat up your pizza here they expect you to go pay the receipt, otherwise they'll hold your pizza hostage behind the counter. While Forno Campo de' Fiori has very traditional and crisp slices, Forno Roscioli can get creative, so don't be afraid to ask what kind of pizza your looking at or to ask for a suggestion. Alice isn't your fancy Forno with Pizza al Taglio, but it's a solid staple that won't lead you wrong and you'll find it in every neighborhood in Rome. I think it's important to always have a place you can rely on. Crisp crust you can count on. Great customer service. And here you don't need to worry about throngs of people cutting you off in line! All of their locations generally have seating, so you don't feel rushed here. They offer free water at their tables as well. If you're Kosher, they have a Kosher location situated in the Jewish Quarter. You can always trust Alice! Katie Parla is a regular at this joint and recommends it to all, and I can endorse her recommendation. Don't let the location deter you. 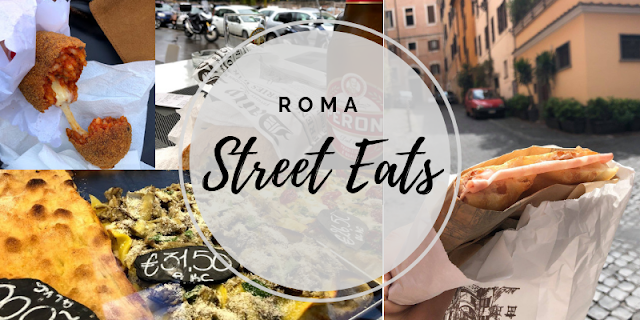 Plan to stop at this beyond delicious pizza joint on your day visiting the Vatican, and also allow yourself time to explore the upscale neighborhood of Prati at the same time. This pizza is the perfect combination of the perfect crunch on a crust, and perfect dough hiding under a clever combo of fresh ingredients. Be warned though, this isn't your cheap eats Pizza al taglio for 2 euro 50. Bonci has a weight to it, and with the weight comes a larger bill, but I think it's definitely worth the visit and extra euros spent! Go big when you visit and try a number of different flavors, they cut up your pizza in small manageable bites and load a tray for you to enjoy outside leaning at their bar table outside. If you're a beer lover, find your artisanal beer in the fridge, and if you're afraid of lines, yes there's always a line, but you take a number to get served, so there is order to the chaos! Make sure you hear when your number is called though, otherwise they'll scoot right on to the next number in line!! I hate to tell you all, but this idea of panini (plural) in the states is so entertaining. Rule number 1 - paninis don't exist here! When you say panini you're saying sandwiches! Hence why the title of this section is titled Panini ;) So, in Italy, when you'd like a sandwich, you go for a panino and they can come all shapes and sizes! My favorites spots so far below! As I mentioned above in the Pizza section, Forno Campo de' Fiori has two store fronts located in Campo de' Fiori. One hosting pizza, and the other delicious and painfully simple sandwiches. Don't go here if you're looking for that sandwich loaded with goods. This is my go-to for a mortadella sandwich, e basta. They serve their sandwiches on perfectly baked and salted thin focaccia and stuff it with just the right amount of ingredients. Simplicity here is king! Another Katie Parla recommendation. Given I'm local to the Testaccio market, I just can't keep away. Mordi e Vai is one of the sandwich staples located inside. There's always people waiting on sandwiches, and the owner is always there working away! They specialize in various types of meat sandwiches, you can't go wrong. Unless your vegetarian ;) Definitely worth a try! After living in Bologna for 2 years, piadine seem to be a way of life and a craving that I just can't give up! Although this is not a traditionally Roman dish, if you're into dedicant ingredients stuffed in a wrap like bread, the piadineria is for you! My go-to piadina is the basic prosciutto crudo, stracchino and rucola mix, but when in season I go for carciofi and pecorino. Delish!